Here in Northern California, we are blessed with some of the best corn ever. Hailing from the farms of Brentwood, this corn has got to be some of the sweetest I’ve ever had. But how can you bring out the very best of the fresh corn flavor? Grilling it in the husk! That’s right. 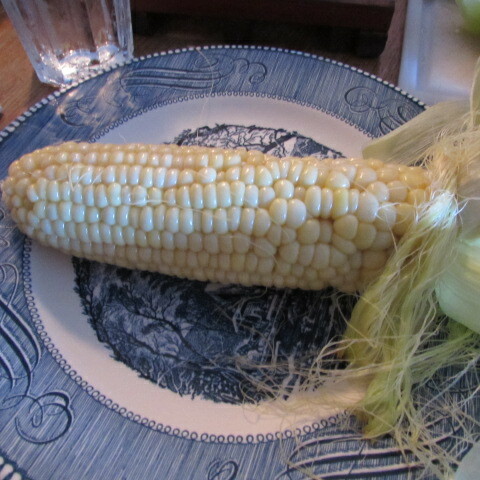 I know you all remember the days that your parents tasked you with shucking corn before boiling the life out of it. Those days are long gone. Cooking it in the husk, whether on the grill or in the oven, produces a great flavor and what’s more – it makes the resulting product a snap to peel as the corn husks and silks literally fall off the cob. Warning – do not overcook – corn really only needs to be made hot (though I’d take it raw off the cob fresh from the field anyday). Using scissors, trim excess husk and silk from cobs so they don’t catch fire. Preheat BBQ for whatever else you plan on cooking. 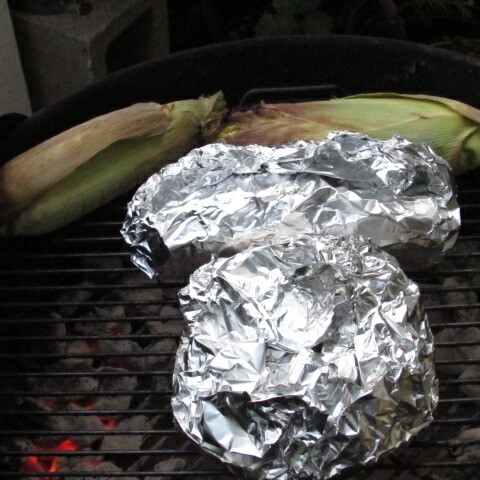 Once coals are going and starting to grey, cook corn for around 15-20 minutes, flipping half way through. 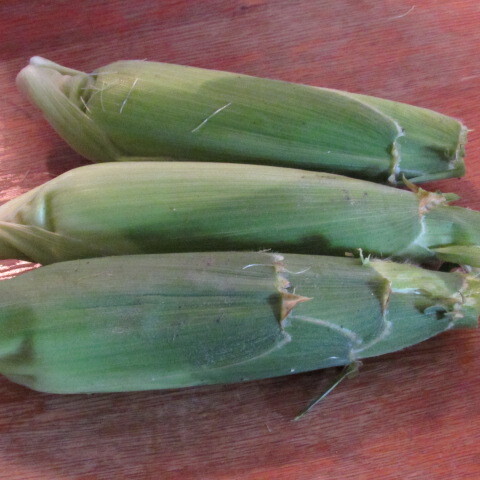 Once husks are nicely browned, corn is likely done. 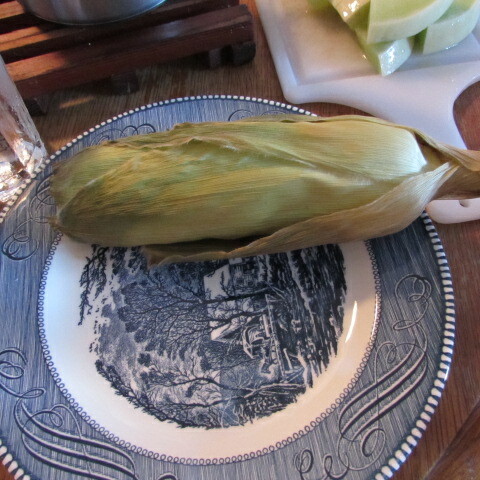 Remove from heat, rest a few minutes, shuck with ease, top with butter and/or herbs and spices and enjoy! If you don’t have a BBQ, don’t worry, this also works perfectly in an oven preheated to 400 degrees. Tags: cooking corn on cob in husk, corn on cob in husk, easy way to cook corn, easy way to peel corn on the cob, easy way to shuck corn on the cob, food, grilled corn on the cob, grilling, with images. Bookmark the permalink.